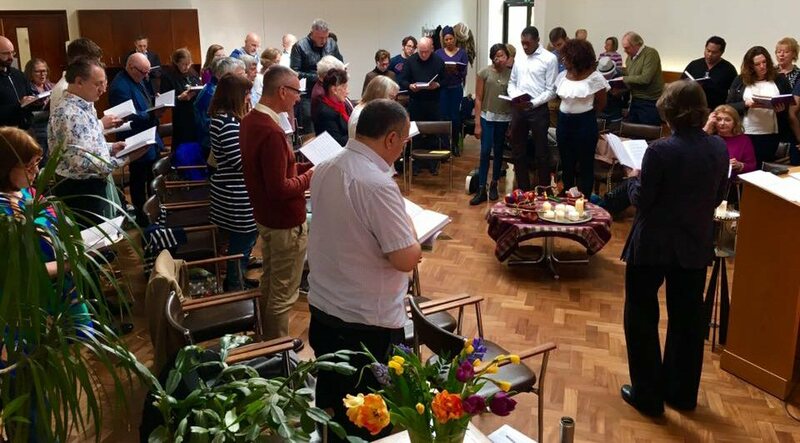 Kensington Unitarians are a community of kindred souls who meet each week at Essex Church in Notting Hill Gate to explore, reflect, converse, be still, share joys and sorrows, and support one another on life’s journey. We are proud to be part of a worldwide and historic liberal religious tradition. Our main activity is Sunday worship and we hold a service each week at 11am. All are welcome. Services are usually themed and include readings from a variety of sources, prayers, music, singing, stillness, and a short sermon. Our children’s leaders provide an alternative programme of activities for younger people. Small-group activities are another key part of our programme. We offer courses and workshops exploring spiritual and religious matters, drawing on diverse sources of wisdom and inspiration, and considering life’s meaning together with others on the spiritual journey. Bring food and drink to share! Click here to download a leaflet containing more information about the congregation. Click here to watch a short video ‘Why go to Essex Church (Kensington Unitarians)?’ on Youtube.